Organizations like us - practically all organizations in fact - create, own, share and exploit a vast wealth of valuable information known as intellectual property (IP). 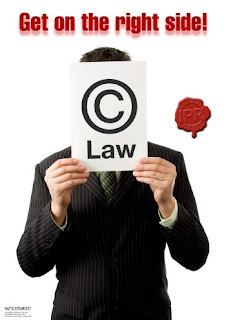 IP generally deserves and often requires proactive protection against threats such as plagiarism and piracy , even if it is deliberately published or disclosed: IPR is more than simply a confidentiality or secrecy issue. IPR infringements cause both direct and indirect impacts on the rightful IP owners, including loss of income, brand devaluation and competitive disadvantage. These are serious commercial issues. If awareness of the risks associated with disclosing IP is an important first step on the way to securing it, finding out how to bring the risks under control and enforce your IPR is step two. IPR-related laws such as copyright, trademarks and patents are the most obvious type of IPR controls but others are covered by agreements and contracts. Prosecution under IPR and contract laws can carry civil and criminal penalties including substantial fines, costs, and damages. These too are serious commercial issues, with the added threat of jail time for IPR infringers bringing a sharp personal edge to the issue. On top of all that, there are significant ethical aspects to IPR. Piracy and plagiarism, even on a personal scale, deprives creative artists of their rightful reward for the intellectual effort involved in creating IP, and in so doing discourages them from producing more. However, piracy and plagiarism are quite widespread in practice, implying perhaps that society does not fully support IPR. In the general employees’ stream, our primary focus is on encouraging staff to respect third parties’ IPR, for example avoiding piracy by complying with the terms of license agreements covering software and information content such as MP3s, JPGs, videos and text downloaded from the Web. Informed and aware staff also have a valuable role to play in identifying and reporting possible infringements of the organization’s IPR by third parties. The awareness materials encourage managers to ensure both that organization and its employees comply with their obligations to third parties under the IPR laws, and also that third parties respect the organization’s own IPR. These are the flip sides of the compliance coin. It is considered good practice in IPR circles to institute both defensive and offensive controls where appropriate to manage risks on both sides. For IT professionals, the materials mostly stick to the topic of software licensing (which is of course personally relevant to software developers and other creative technologists) and technical IPR controls such as Digital Rights Management (DRM). The three streams are intended to stimulate thought within, and discussion between, the three audience groups. In this way, the awareness program extends beyond the presentations, briefings, posters and other materials supplied, taking in formal and informal communications around IPR in the business context. PS The poster graphic thumbnailed above is available this month for free download as a read-only PDF. If you need to customize the graphic, you'll need to contact us for the US$195 JPG version.